High blood pressure (hypertension) is a common medical condition affecting tens of millions of Americans, and for which therapy is known to prevent severe and disabling conditions, including myocardial infarction, congestive heart failure, stroke and renal failure. Unfortunately, in a substantial percentage of patients with high blood pressure, medications are either ineffective or only partially effective at reducing blood pressure to appropriate ranges without inducing disabling side effects. 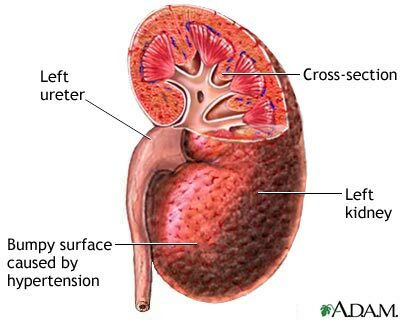 The Division of Nephrology, Hypertension and Renal Transplantation at the University of Florida offers comprehensive evaluation and management of patients with difficult to treat and resistant hypertension. Screening is provided for endocrinologic, vascular and genetic causes of difficult to treat and resistant hypertension. Physiologic measurements of patient-specific parameters are used to assist, when needed, in the choice of medications most likely to be directly beneficial for a specific individual’s cause of hypertension, and adjustment and titration of medications during longitudinal follow-up is provided. Close consultation with an individual’s primary care physician is also offered in order to facilitate effective management of this common clinical condition.